I am returning to our discussion of the relationship between an artist's private life and how we react to his or her works. 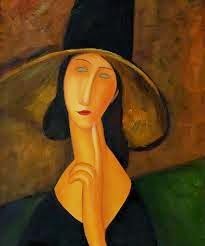 This time I want to begin by talking about a great exhibition I saw in Pisa of Modigliani and his friends in Paris. 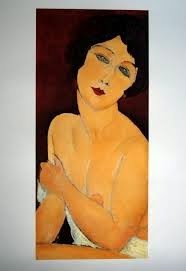 He is one of those artists whose work is immediately recognizable. As before, here is a little background. 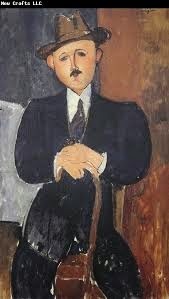 Amadeo Modigliani was born in Livorno in 1884, the fourth son of Jewish Italian parents. His mother came from a long line of intellectuals living on the Mediterranean coast. His father was the scion of a financially successful family, but unfortunately that good luck with money ran out just as young Amadeo was born. 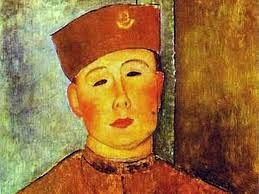 On top of that, the boy was quite sickly with a number of illnesses and then, as a teenager, contracted the tuberculosis that would take his life in 1920, at the age of just 35. His art studies, which his mother supported, took place in Italy, following the classical approach and focusing on the Renaissance. But then he met up with the Macchiaioli, that group of Italian plein air painters who were the precursors of the Impressionists. 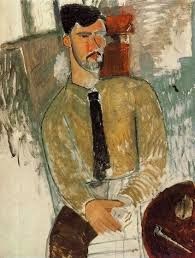 It wasn't long before he was on his way to Paris, where he destroyed all his previous work, remade himself from a son of the Bourgeoisie into a hedonistic bohemian rake and hung around with all the best known avant garde artists and poets, including Picasso, Brancusi, Utrillo, Diego Rivera, Juan Gris, and Jean Cocteau. 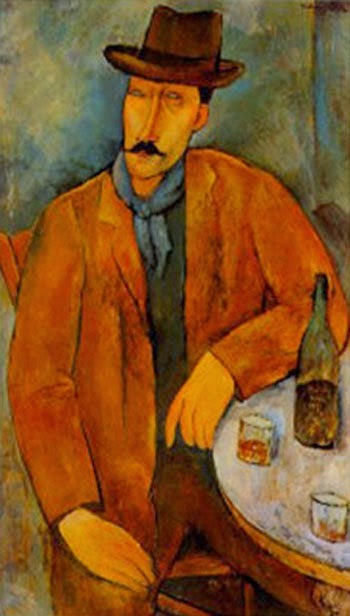 Modigliani's work was never appreciated during his brief lifetime, but became increasingly popular and pricey beginning shortly after his death. The exhibition I saw last week included a French documentary from the Fifties, the subject of which is the title of this blog. The film maker sought out and interviewed people who knew the artist well, including his daughter. 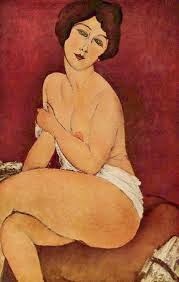 His women friends were in complete agreement on one point: Modigliani was tres, tres beau. No argument from me there. Other than that, no two people described him in quite the same way. He was a hopeless drunk. Or he drank but never to excess. He was addicted to drugs. Or he used them only recreationally. He was the son of a fabulously wealthy Italian banker. Or he was really quite poor. 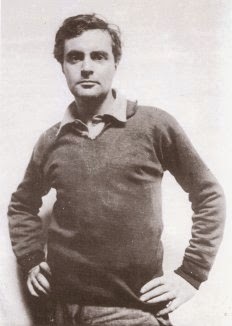 The upshot of all the research for the film was that Modigliani contributed to the myths about him by lying about himself. It seems to me that most people, me included, have shall we say dressed up the stories they tell about their lives, even the ones they tell themselves. 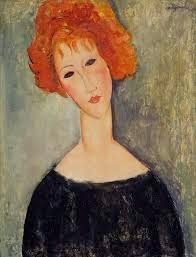 And some people, Modigliani for instance, change how they are and what they tell about themselves, depending on who they are talking to. Biographers also approach their subjects with known or unconscious personal filters and axes to grind. 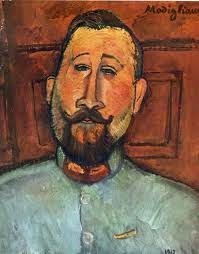 Modigliani's biography would read quite differently if its writer talked to one selection of the friends who gave testimony in that film, as opposed to another. My point is pretty much what it was last week. The art must stand alone. 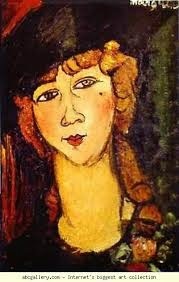 We can try to understand it better by knowing something of the artist's life experiences. But we must be cautious about swallowing the "facts" wholesale. Ah, facts. Wonderful things. At least we know that 2+2=4. (Well, unless we're in base 3, then 2+2=11. Facts. Even the hard ones can be slippery little eels. I hope you are wrong about 2+2 equalling 11 in base 3. If it does, I am a hopeless idiot at figuring out what it might mean. MICHAEL, HELP!!!! Well it's like this. In base ten, 11 means one ten and one unit i.e. eleven. But in base three, 11 means one three and one unit i.e. four. I knew you would come to my rescue, Michael. It does make my head hurt a little to think in base three. Perhaps if I were a sloth, it would come naturally to me to do so, but then I would be to lazy to care. How very beautiful. 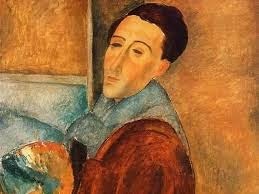 I can just see him living La Vie Boheme. Thank you agin. for the museum visit. Annamaria, I would love to see that documentary! Thanks for this wonderful peek at his paintings. I researched him for my book and many think since he had TB, which had such a stigma, that he self-medicated with drugs and alcohol. His only surviving daughter was in the Resistance lived a crazy life and died of alcohol. Cara, The notion that he might have been covering up his TB did come out in film. The exhibition at Palazzo Blu in Pisa was organized in conjunction with the Centre Pompidou. Perhaps you can find the film through them. I hope you can. Fiction, Jeff! It makes us all more interesting! The Art must stand alone. You are definitely right about that. Still it may be difficult to keep one's opinions on the artist out of the equation. Me too, Juno. Some days I am too distracted to count to two. Too many twos to think about. This was fascinating! 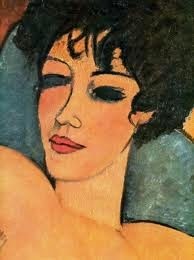 I'd seen his work so many times in museums, but knew almost nothing about his life. Fear not, Susan. Our tribe comes with a resident mathematician!